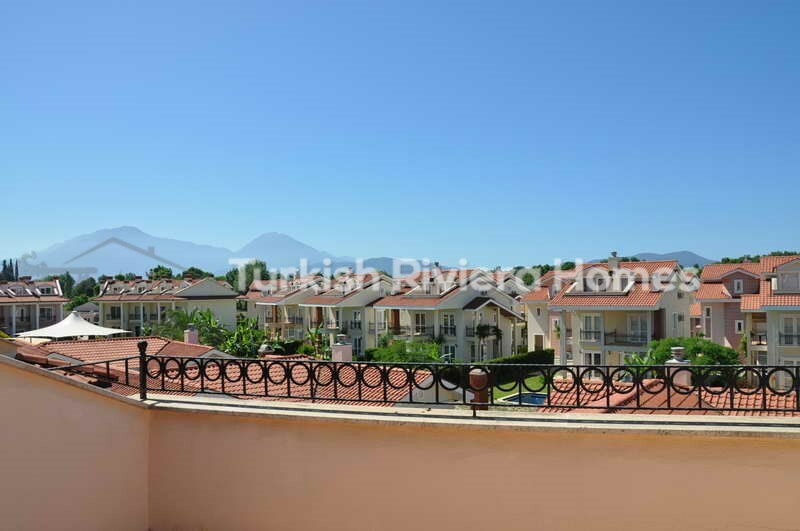 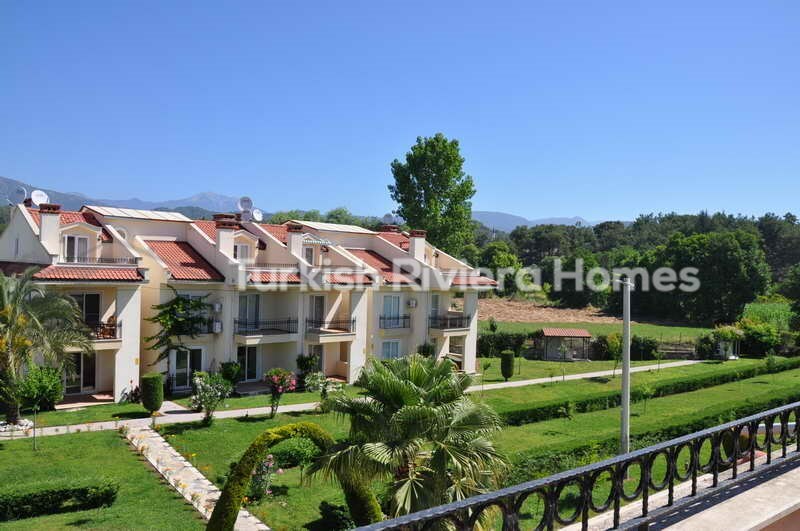 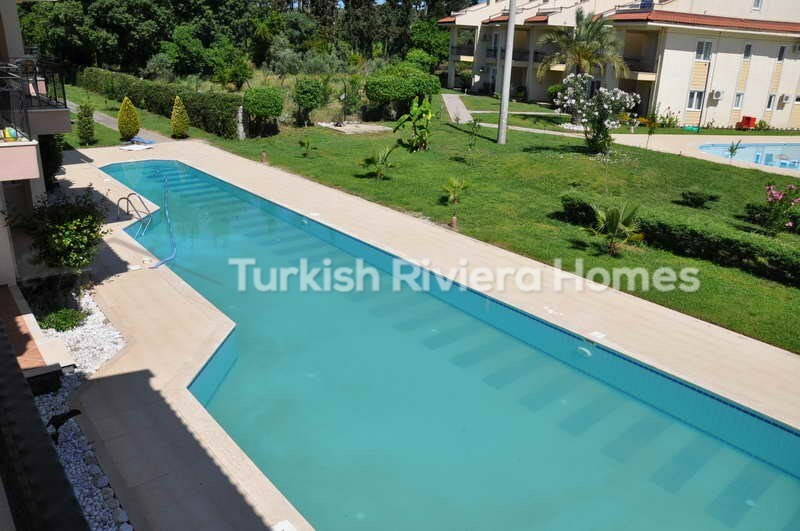 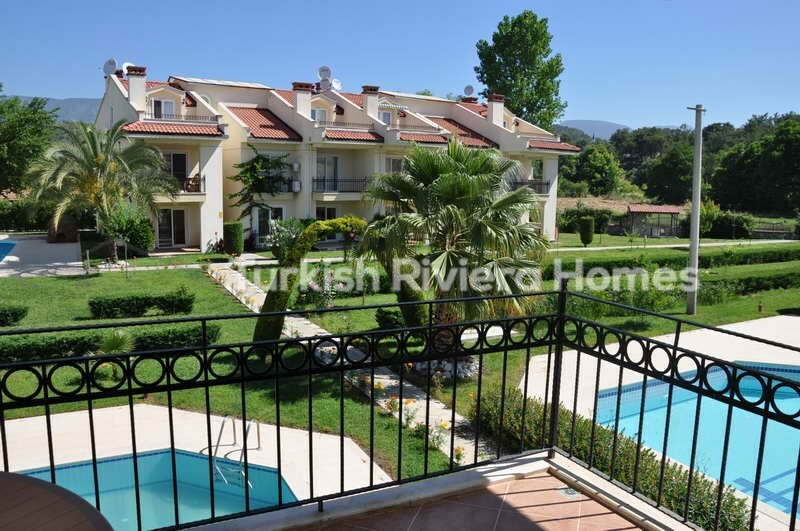 Great value apartment set in a peaceful rural area of Yaniklar, Fethiye on a superb complex with many on-site facilities with a choice of swimming pools, snack bars, mini-market, a football pitch, and tennis courts. 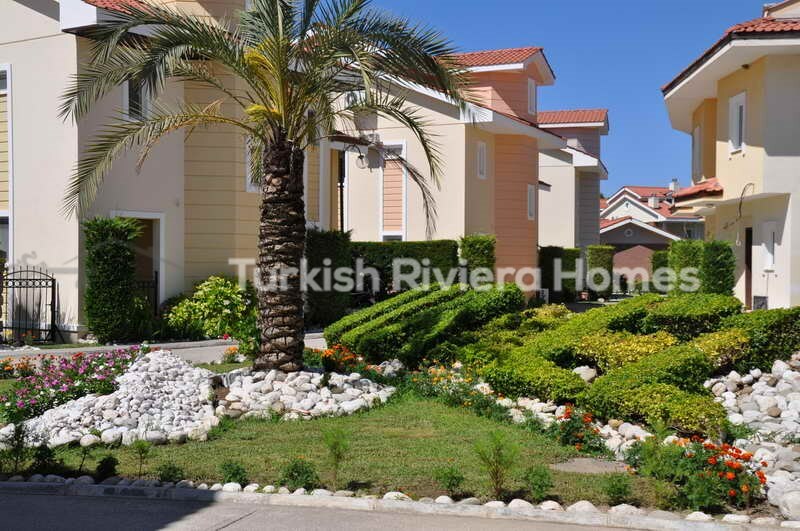 The communal gardens are well maintained with lawns, trees, plants, and flowers. 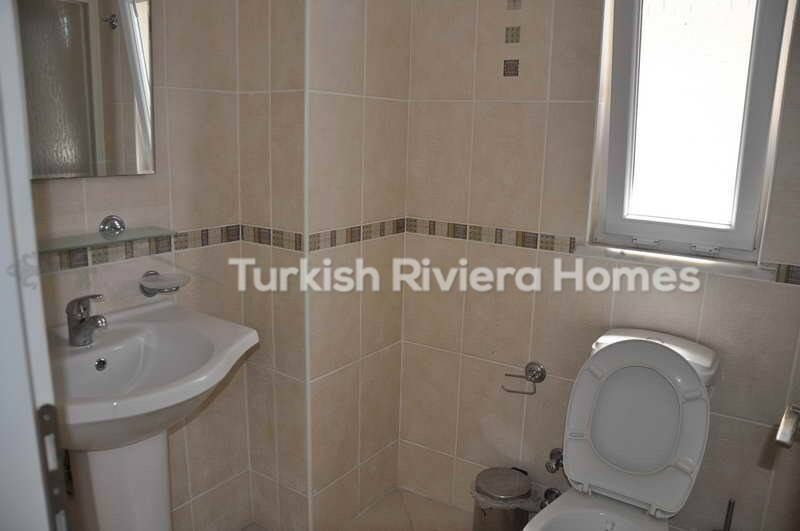 There is 24-hour management for this complex in place. 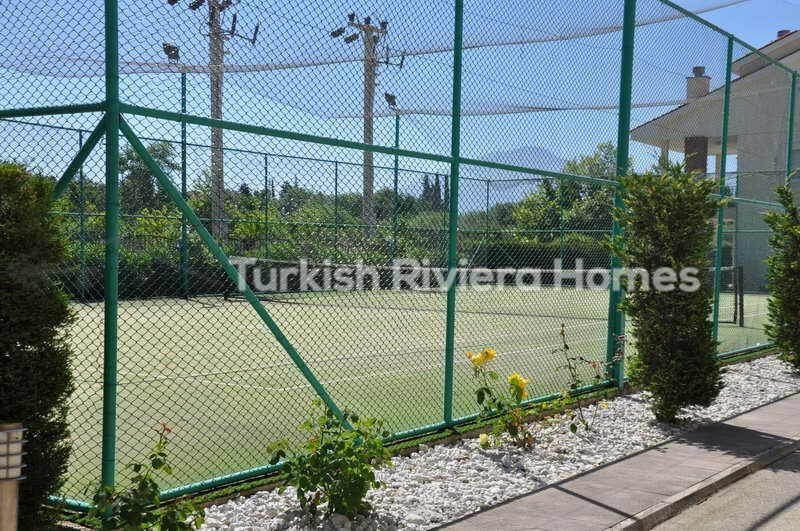 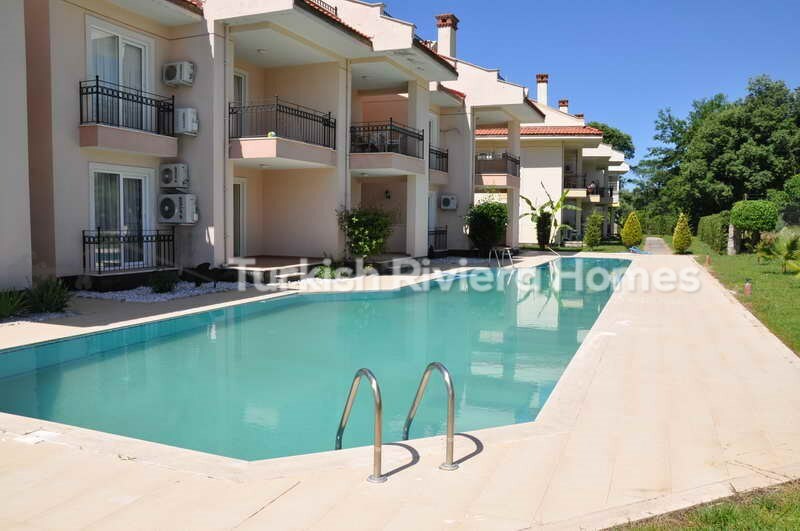 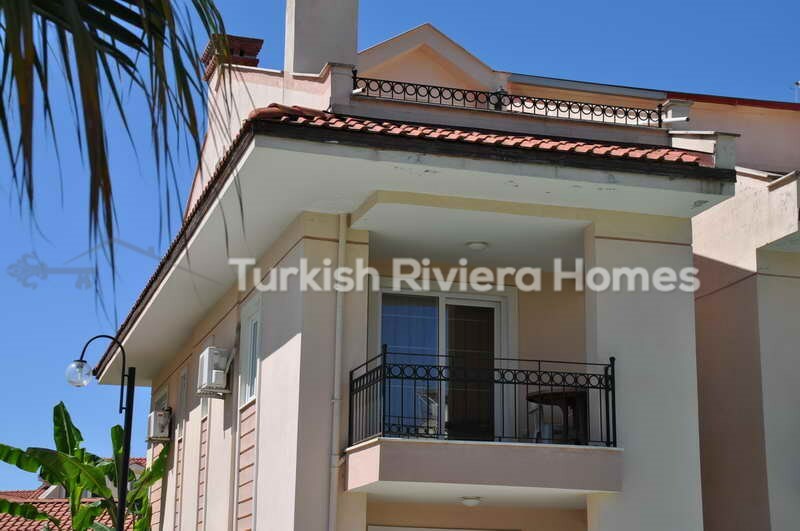 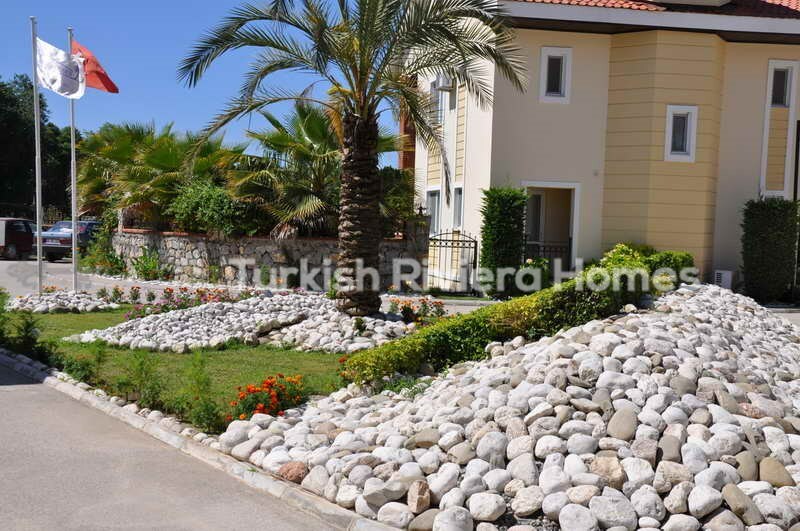 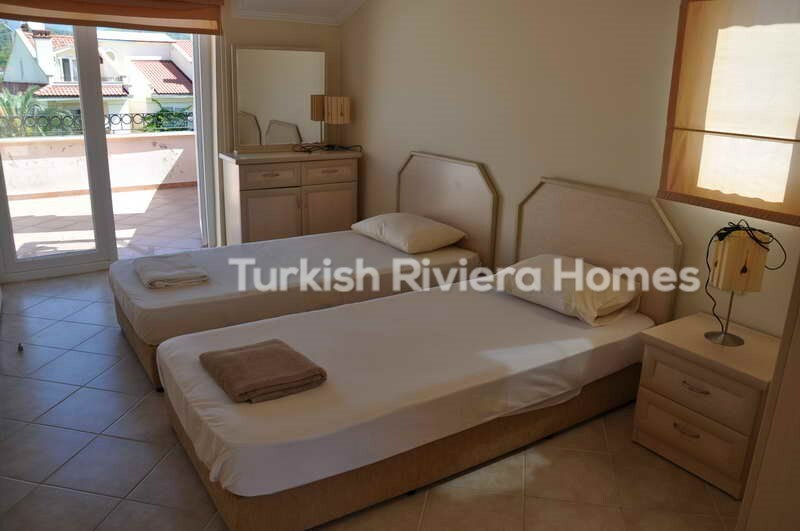 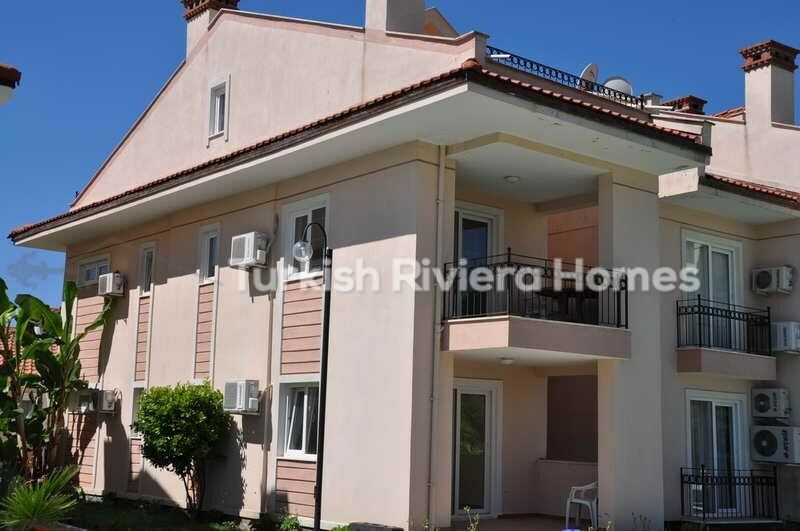 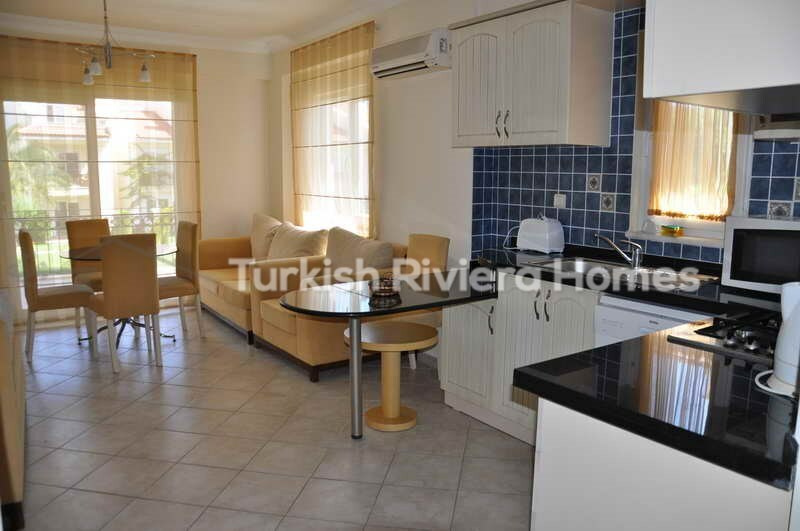 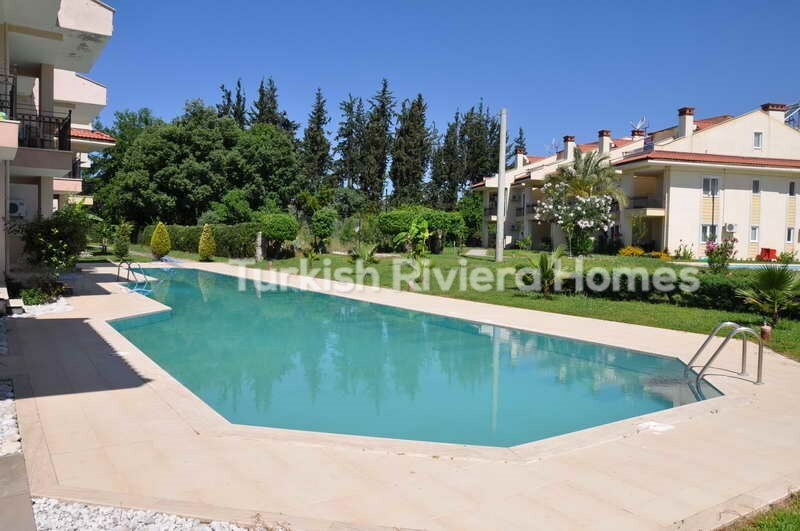 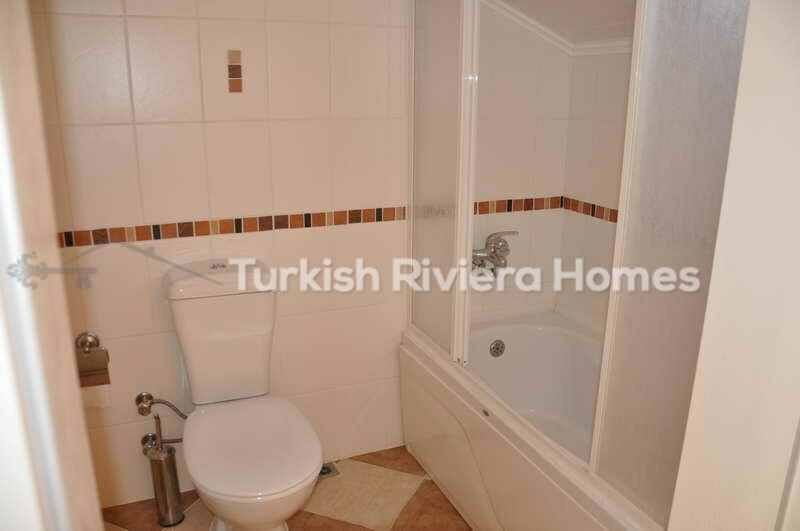 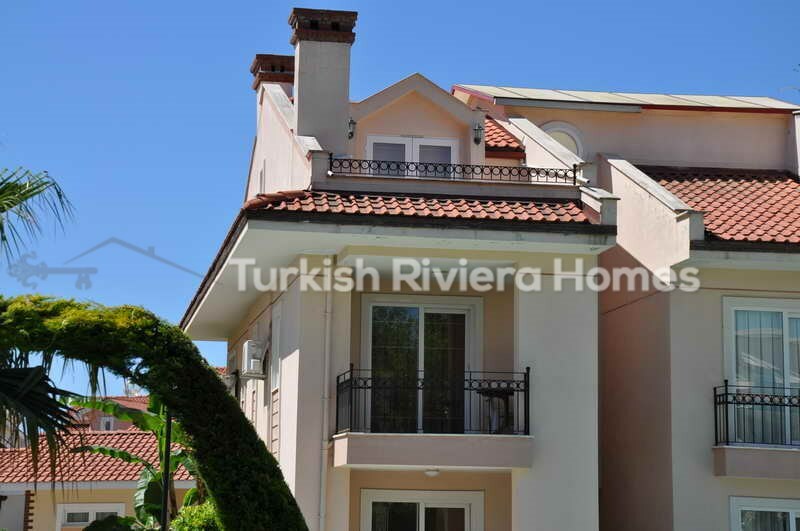 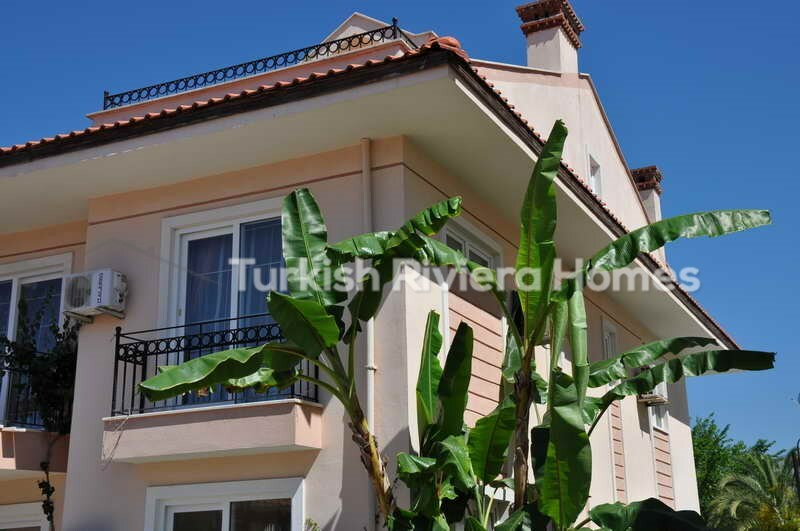 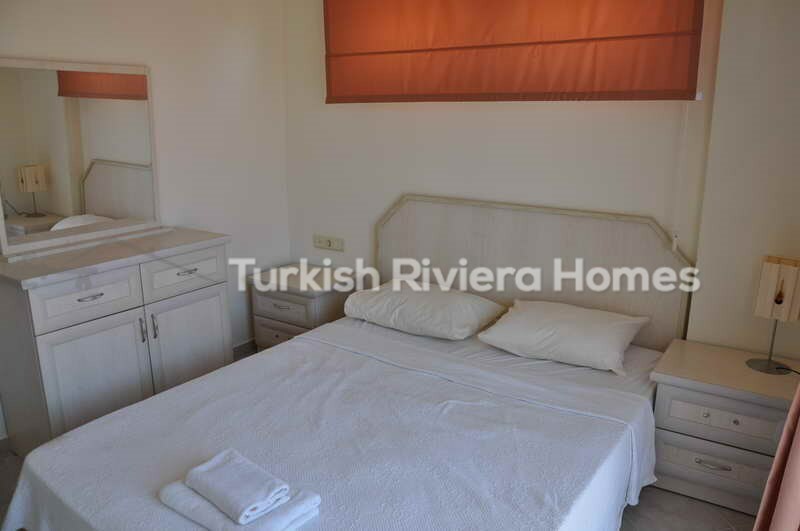 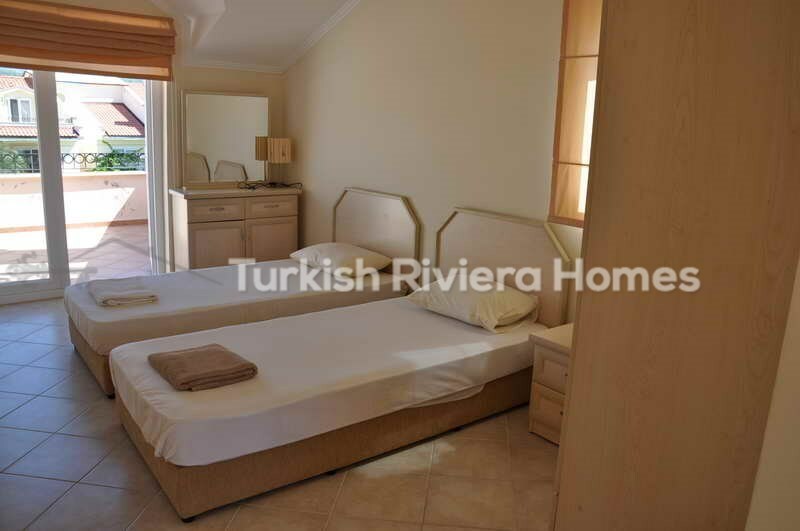 This property is located around 40 minutes from Dalaman Airport but is only a short drive to the center of Fethiye. 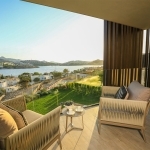 Perfect as the ideal retreat holiday home. 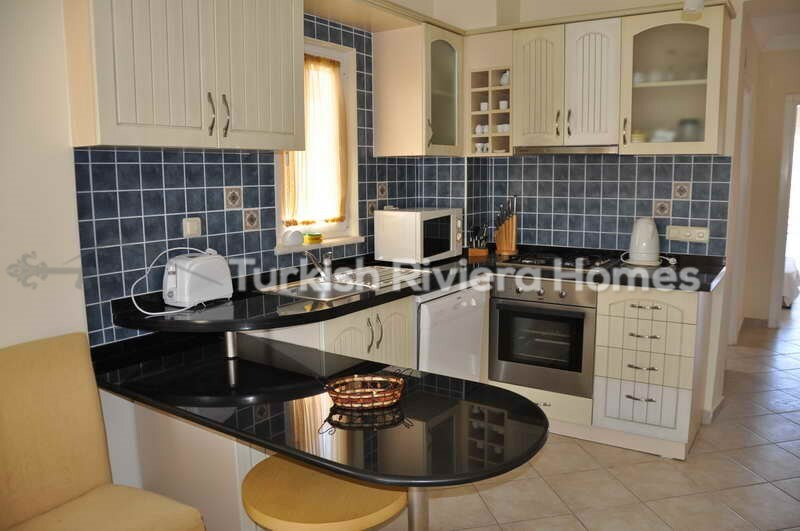 There is a modern open-plan kitchen with cream wooden units and granite worktops together with a breakfast bar and stools. 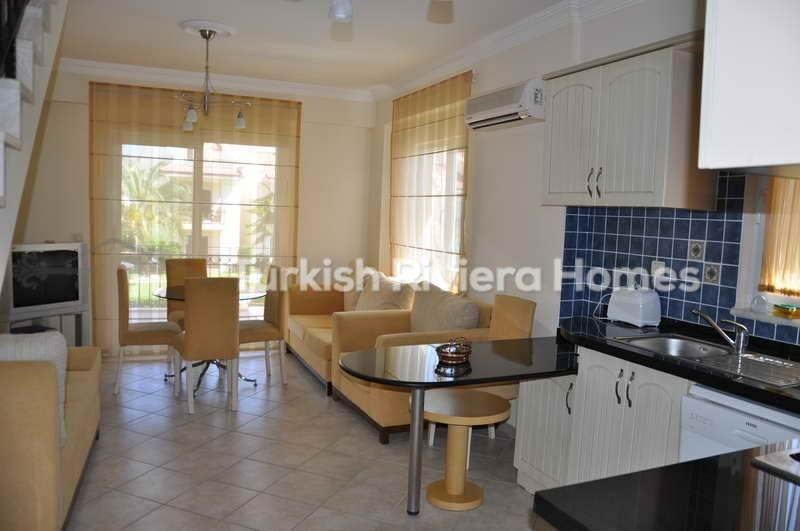 Lounge with comfortable choice of furniture and a place for dining with dining table with chairs. 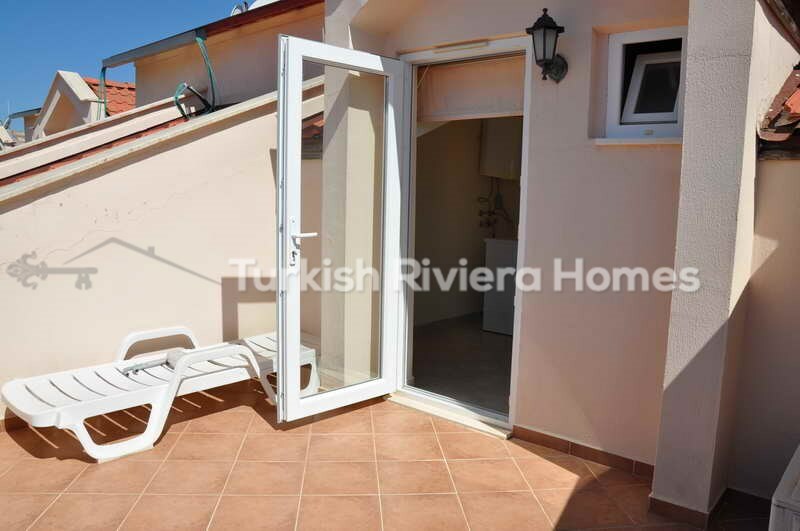 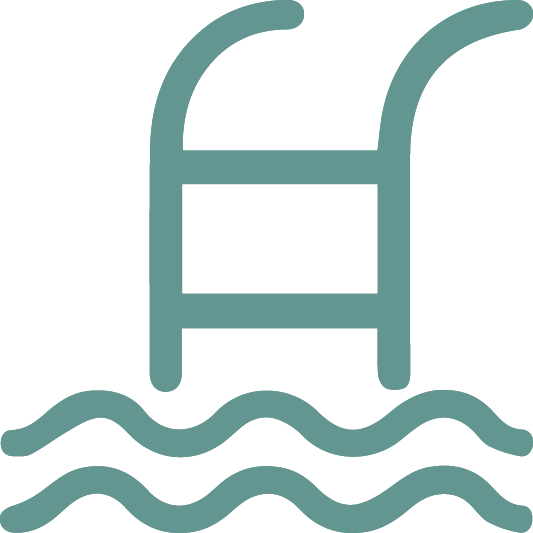 Patio doors lead out to the terrace area which overlooks one of the swimming pools and also has a built-in BBQ, ideal for those summer evenings to dine alfresco. 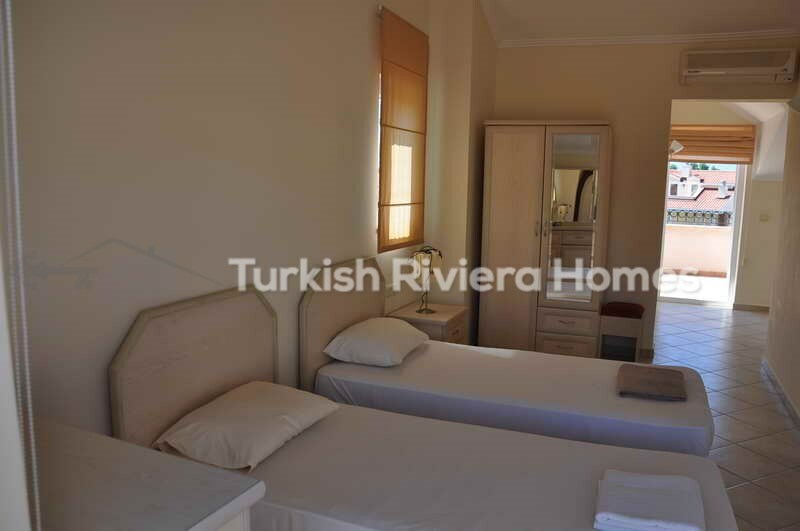 Also on this floor are two good sized bedrooms, both of which are furnished, together with a bathroom. 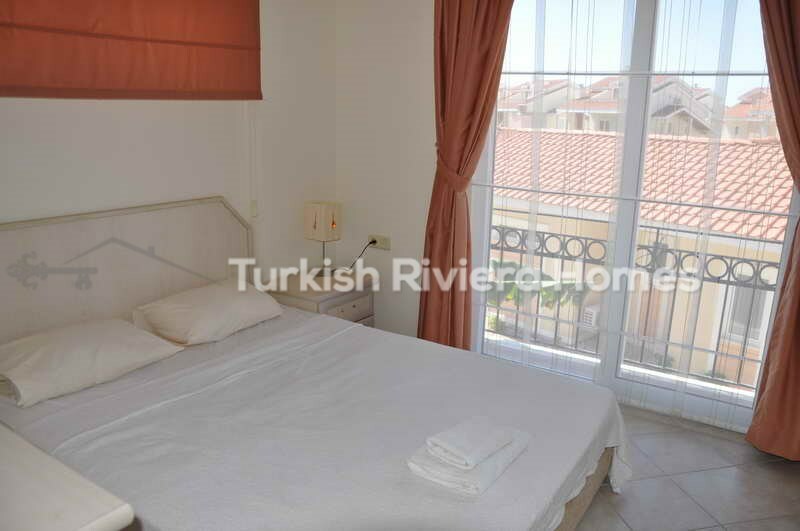 On the top floor, there is a large bedroom with en-suite bathroom, this bedroom also has the benefit of its own private balcony. 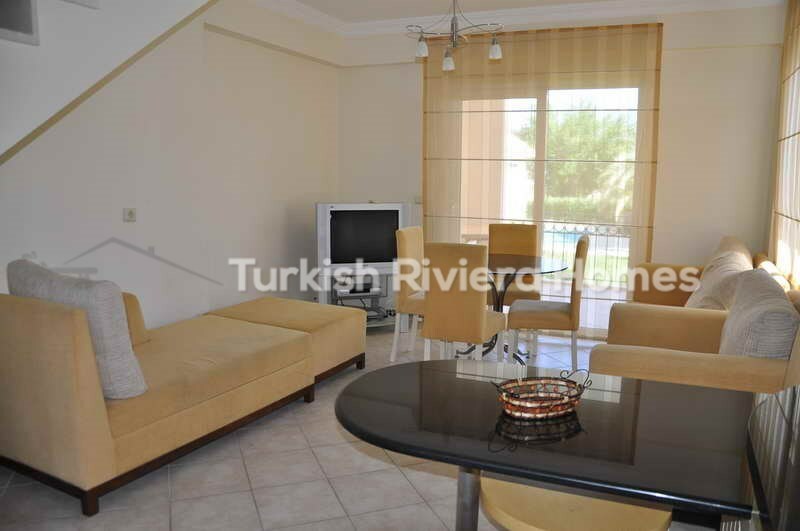 The apartment fully furnished, with air conditioning, and is key ready. 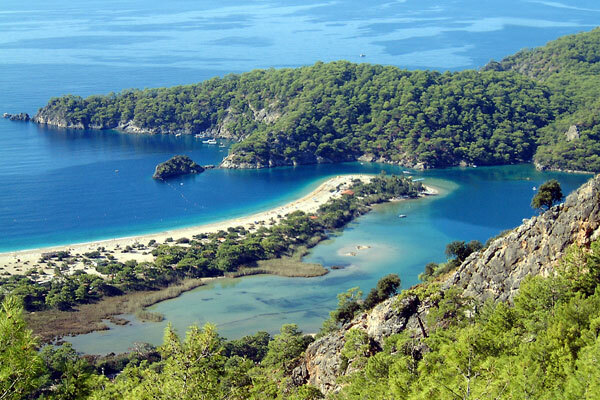 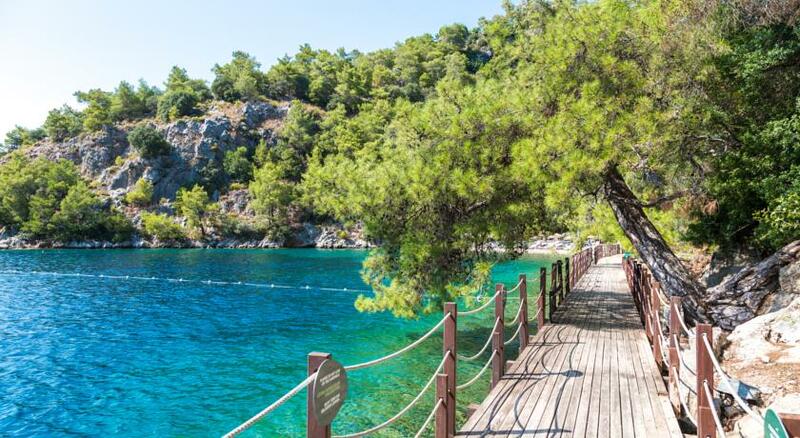 Yaniklar is very close to Fethiye and only 35 km from Dalaman International Airport. 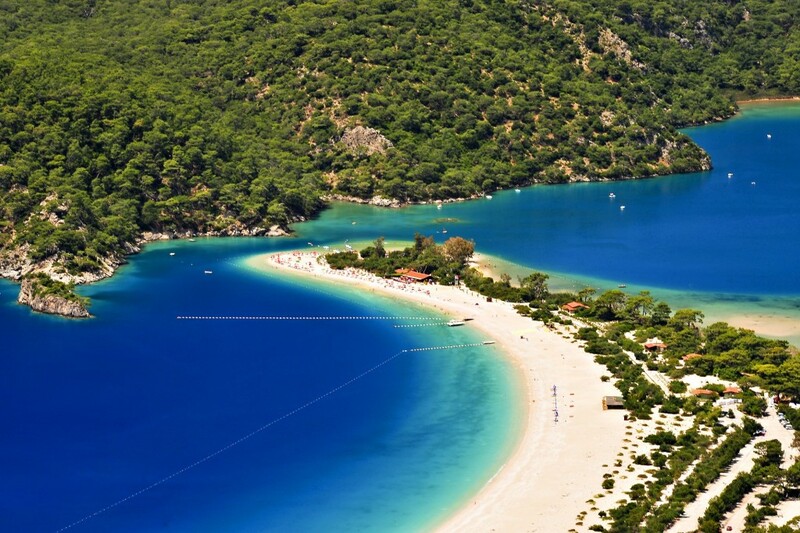 The beach at Yaniklar seems almost private and there are restaurants along the seafront where you can dine whilst watching the beautiful sunsets.